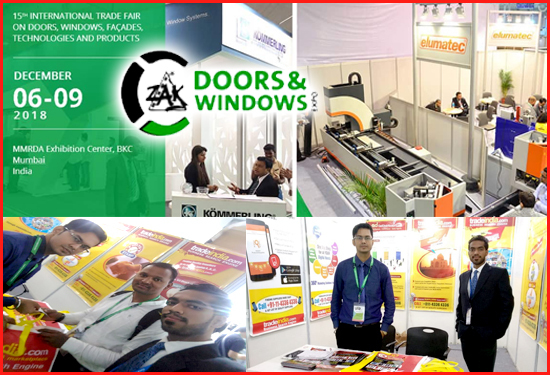 Zak Doors and Windows Expo 2018 - TradeIndia trade show participation at Zak Doors and Windows Expo 2018, MMRDA Exhibition Center, BKC, Mumbai, India. MMRDA Exhibition Center, BKC, Mumbai, India. 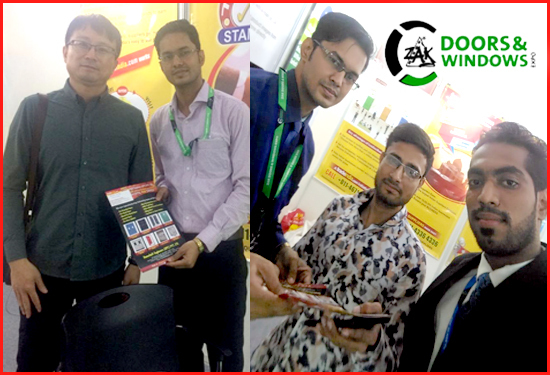 The 15th Edition of Zak Doors and Windows Expo 2018 which was organized by Zak Trade Fairs & Exhibitions Pvt Ltd on 6th to 09th December 2018 at MMRDA Exhibition Center, BKC, Mumbai, India. Zak Doors and Windows Expo 2018 was India's dedicated platform to showcase the products of Doors, Windows, Facades, Technologies, Components & Products. The expo had emerged as the most effective marketing medium for manufacturers penetrating Indian fenestration industry. With over 13 successful editions, the expo had grown exponentially with the growth of the Indian fenestration industry. The display profile of the show had so many products, mix of Machinery, Systems, Accessories & Finished products. Product showcased such as Windows, Aluminium Windows, uPVC Windows, Wooden Windows, Composite Windows (Aluwood & Woodalu), Steel Window, Variety of profiles & systems, Raw Materials, Rigid uPVC adhesives, Coating (Powder/ Anodising / PVDF), Plastic Granules, Polyamide Strip, Facade Elements, Anchor Fastener, Curtain Wall Bracket, Insulation (Glass wool / Mineral wool), Cast-in Anchor Channel, Façade Cleaning, Building Maintenance Units (BMU), Façade Access System, Façade Engineering Solutions (Design + Fabrication), Curtain Wall Systems, Structural Sealant, Structural Glazing Tape, Louvre, Railings, Stainless Steel, Aluminium, Balusterless, Others, Pergola, Flyscreen, Software, Associations, Trade publications and many more, Machinery, Aluminium processing, Wood Working, Steel Processing, Thermal Break Assembly, Panel Processing, Aluminium Punching, Doors, Automatic Doors, Aluminium Doors, Wooden Doors, WPC Doors, Metal Doors (Fire Rated / Non-Fire Rated), uPVC Doors, Door Infill Panels and many more. It was successful Industrial exhibition demonstrating Doors, Windows, Facades, Technologies, Components & Products. Zak Doors and Windows Expo 2018 maintains the Communication bridge between the visitors as well Exhibitors. it was great exposure for exhibitors to explore the information & knowledge about their particular products. It was a exhibition with great success now. 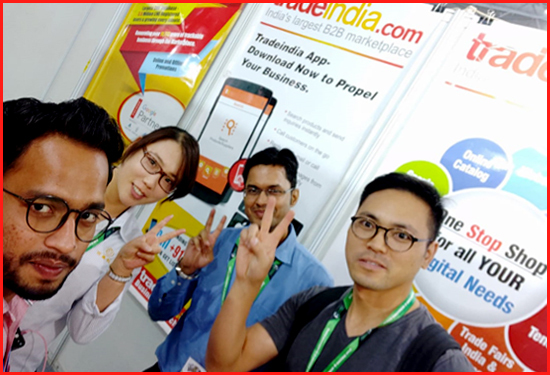 Tradeindia.com - India's largest B2B Marketplace, with its clear objective of promoting Indian Manufacturers, Exporters & Importers globally participated at “ Zak Doors and Windows Expo 2018 ” and was also Online Media Partner of the show. 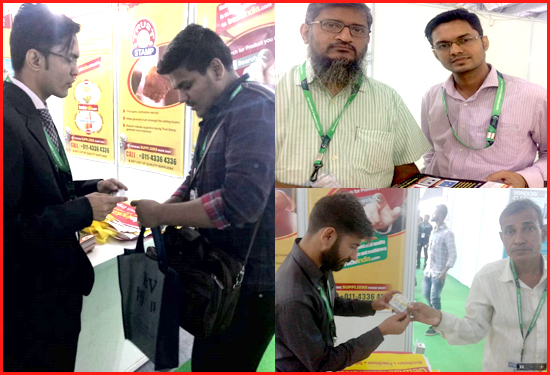 Tradeindia's representatives met with huge number of visitors at the show who were potential buyers and some of them were also industry leaders. We offered tradeindia's product brochures offering comprehensive information about Tradeindia. The visitors encouraged the work done by tradeindia and also took tradeindia's offered products happily as they also felt it will help them further in their sourcing. Nevertheless, tradeindia's red & yellow promotional bags were hit amongst the visitors and were seen carried by the visitors across the show on all days of the event.